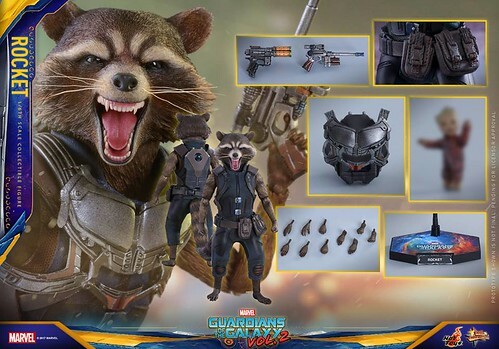 Hot Toys announces their first 1/6th-scaled figure from their adaptation of Marvel’s GUARDIANS OF THE GALAXY VOL. 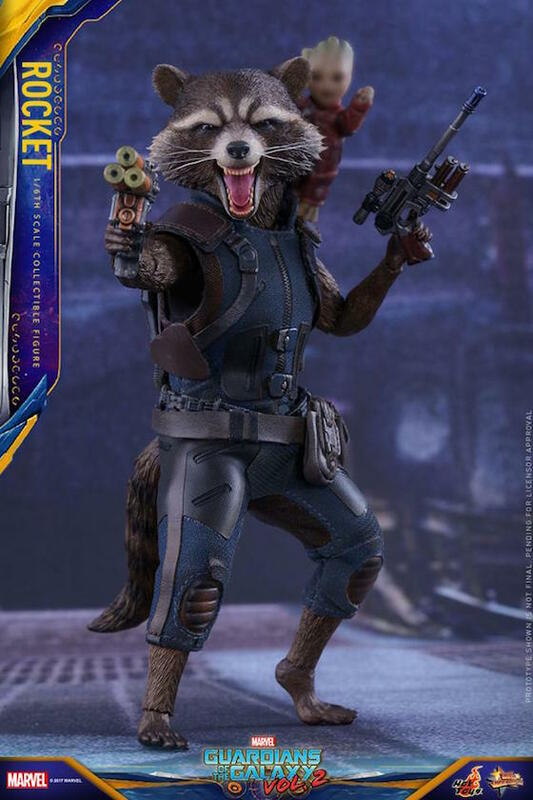 2 feature film, with ROCKET RACCOON dressed all nice-in-his-new-space-duds (different from the first version with Groot), and with two editions to be had! There is the REGULAR Edition (see above / breakdown below), and there is the DELUXE Version (See below) - which comes with an additional (1) Interchangeable head sculpt with a “calm” Raccoon-mode! (2) an epic HUGE-a$$ heavy machine gun, and (3) A pair of additional gun-holding hands! 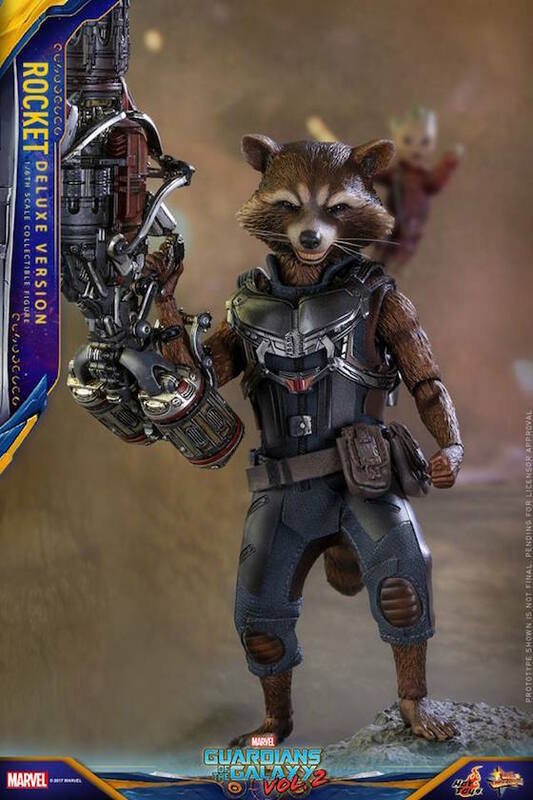 (Hoping the gun is not too heavy to be held and posed tho :p) And BOTH includes a “non-articulated miniature” BABY GROOT figure (blurred out in both edition’s product release images lol). Check out the video I made of the figure (Just above), and check in with your fav retailer(s) for final pricing and availability. 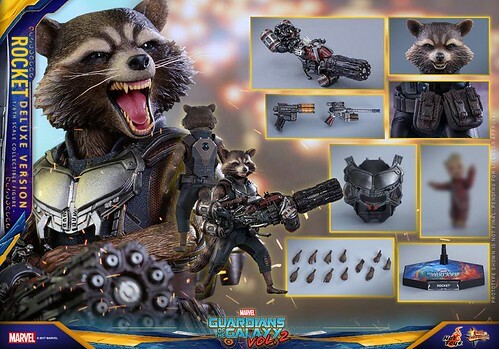 Hot Toys has a Release Date scheduled for Q4, 2017 – Q1, 2018.